Uh oh! Who said that a caravan holiday would be a relaxing affair? 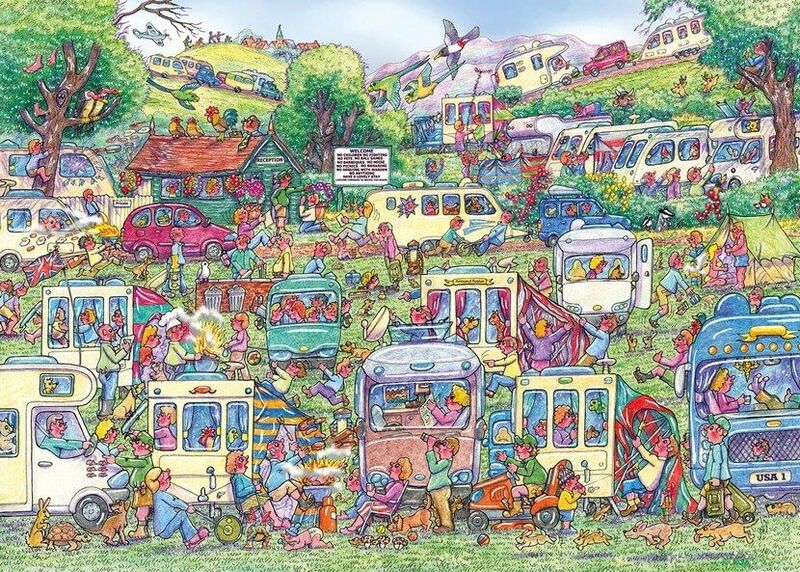 From a flaming barbeque to flying full English breakfasts, the caravan site is in utter chaos! Made from the thickest puzzle board on the market, our 1000 piece puzzles have been manufactured using 100% recycled board of the highest quality.